Jasiel PERRY (1682 – 1778) was Alex’s 8th Great Grandfather, one of 512 in this generation of the Shaw line. Jasiel Perry was born 6 May 1682 in Rehoboth, Bristol, Mass. His parents were Samuel PERRY and Mary MILLARD. He married Rebecca Peck WILLMARTH on 3 Jan 1705/06 in Rehoboth Mass. Jasiel died 1778 and is buried in Briggs Corner, Oak Knoll, Rehoboth. Rebecca Wilmarth was born 30 Aug 1683 in Rehoboth, Mass. Her parents were Jonathan WILMARTH and Esther PECK. Rebecca died 17 May 1736. Mary’s husband Daniel Walker was born 10 Oct 1706 in Rehoboth, Bristol, Mass. His parents were Philip Walker (1661 – 1740) and Sarah [__?__] ( – 1739). Daniel died in 1768 in Clarendon, Rutland, Vermont. i. Mary Walker b. 6 Sep 1730 Attleboro, Bristol, Mass; d. 19 Aug 1777 Clarendon, Rutland, Vermont; m. 1752 to Ebenezer Bates (b. 15 Dec 1725 in Coventry, Kent, Rhode Island – d. 1816 in Shaftsbury, Bennington, Vermont) Most sources say that Ebenezer was born in Vermont, but his parents and siblings lived in Rhode Island. His parents were James Bates (1695 – 1768) and Elizabeth Bennett Harrington (1709 – 1776). Mary and Ebenezer had nine children. The area that later formed the Town of Clarendon was settled by families from lower New England as early as 1762. It and the surrounding area was then part of Albany County, New York, but was later split off as Charlotte County until Vermont declared itself as a republic around 1788. Land claims by New Hampshire were eventually settled, and in 1795 Vermont became a state. ii. Mehitable Walker b. 22 Sep 1733 Attleboro, Bristol, Mass; d. 26 Jun 1800 Rehoboth, Bristol, Mass; m. 5 May 1754 in Coventry, Kent, Rhode Island to Benoni Pearce (b. 23 Nov 1730 North Kingston, Washington, Rhode Island, Recorded Providence, – d. 31 Oct 1819 in Johnston, Providence, Rhode Island) His parents were Nathan Pearce (1706 – 1790) and Abigail Spink (1704 – 1791). Mehitable and Benoni had five children born between 1757 and 1772. After Mehitable died, Benoni married 27 July 1830 in Pawling, Dutchess, New York by Benoni’s brother, William Pearce Esq, to Ruth Tweedy ((b. 1750 in Pawling, Dutchess, New York – d. 27 Apr 1830 in Danbury, Fairfield, CT). 1752 – Took oath against bribery and corruption in Providence, Rhode Island. Mar 23, 1762 – Benoni was a director in a lottery for paving certain streets in Providence. 1768 – Benoni was a bookseller in Providence, R.I. In business “West of the Great Bridge”. The 1770 List of Providence Taxpayers gives a Benoni Pearce living in section XI C 5 of the map, just West of the Great Bridge on Broad Street. 1770 – He was in the General Assembly representing Providence. Escaped last Night from the House of Subscriber, a Prisoner named William Prentice. 1780 lived in Pawling, N.Y. Benoni’s father, Nathan Pearce, Sr. sold land in Pawling, New York to Benoni Pearce. 1807 lived in Providence, R.I.
iii. Sarah Walker b. 2 Sep 1735 in Attleboro, Bristol, Mass; d. New York; m int. 28 Apr 1764 in Attleboro, Bristol, Mass to her cousin Elisha Wilmarth (b. 25 Aug 1733 in Attleboro – d. 1789 Attleboro) Elisha’s parents were Stephen Willmarth (1765 – ) and Deborah Crossman (1702 – 1800). His grandparents were our ancestors Jonathan WILMARTH and Esther PECK. Sarah and Elisha had five children born between 1765 and 1775. An order on Ephraim Newell, Town Treasurer of Attleborough, dated July 5, 1776, was made for wages due Elisha Wilmarth and others for service on the alarm caused by the battle of Bunker Hill. iv. Daniel Walker b. 11 Mar 1736 in Rehoboth, Bristol, Mass; d. 5 Jul 1795 Ernstown Township, Ontario, Canada; m1. Jerusha Bates (b. 1738 – d. 1767 shortly after the birth of her only child); m2. Dec 1767 in Coventry, Rhode Island to Mary Young (b. 1731 in Rhode Island – d. 9 Jan 1829 in Ernestown Township, Lenn Add, Ontario, Canada in her 99th year) Daniel and Mary had ten children, eight grandchildren and 62 great grandchildren. Shortly after the American Revolution, some former members of Edward Jessup‘s Loyal Rangers settled in this area. The town of Bath, originally part of this township, was an important centre for shipbuilding in Upper Canada. 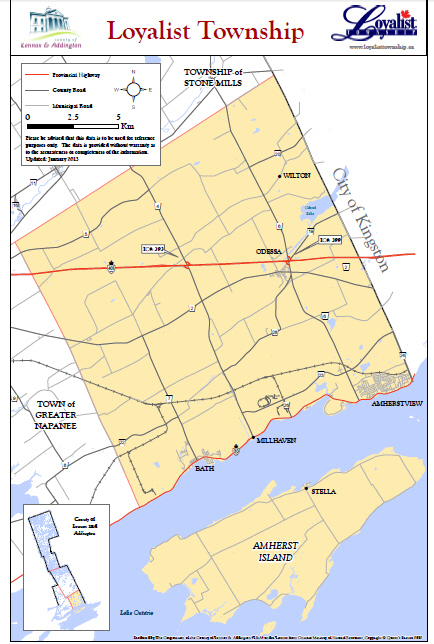 Loyalist Township is Loyalist Township was formed on January 1, 1998, through the amalgamation of Amherst Island Township, Ernestown Township, and Bath Village. The quaint villages of Bath, Odessa and Wilton offer a glimpse of history, while thriving industries, such as LaFarge, carry the community into the future. v. Gideon Walker b. 20 Nov 1738 Attleboro, Bristol, Mass. ; d. 1793 Whiting, Vermont; m. 20 Feb 1762 in Coventry, Kent, Rhode Island to Rachel Foster (b. 21 Apr 1743 in Attleboro, Bristol, Mass – d. 31 Mar 1815 in Whiting, Addison, Vermont) Her parents were Benjamin Foster (1714 – 6 Jan 1803) and Rachel Day (1725 – 1820) Her grandparents were our ancestors Maj. John FOSTER and Margaret WARE. Gideon and Rachel had five children born between 1764 and 1784 in Whiting, Addison, Vermont. viii. Nathan Walker b. 4 May 1744 Attleboro, Bristol, Mass. ; d. 19 Oct 1823 Ferrisburgh, Vermont; m. 1765 to Catharine Johnson (b. 1738 in Attleboro, Vermont – d. 28 Aug 1820 in Ferrisburg, Addison, Vermont) Nathan and Catharine had nine children born between 1766 and 1785.
x. Ichabod Walker b. 23 Dec 1749 Attleboro, Bristol, Mass. ; d. 21 Mar 1832 Potsdam, St. Lawrence, New York; Burial: Bayside Cemetery, Potsdam; m. Abigail Logia (Lougee) (b. 1750 Swansea, Bristol, Mass – d. 4 Apr 1798 in Probably Clarendon, Rutland, Vermont) Her parents were Philip Logee (1730 – 1780) and Comfort Chase (1734 – 1754); Ichabod and Abigail had fourteen children born between 1770 and 1796. Daniel’s wife Mary Walker was born Aug 1716 in Rehoboth, Bristol, Mass. Her parents were Peter Walker (1689 – 1760) and Mary Child (1691 – 1731). Mary died 27 Jan 1793 in Woodstock, CT.
ii. Ezra Perry b. 22 May 1741 Rehoboth, Bristol, Mass. 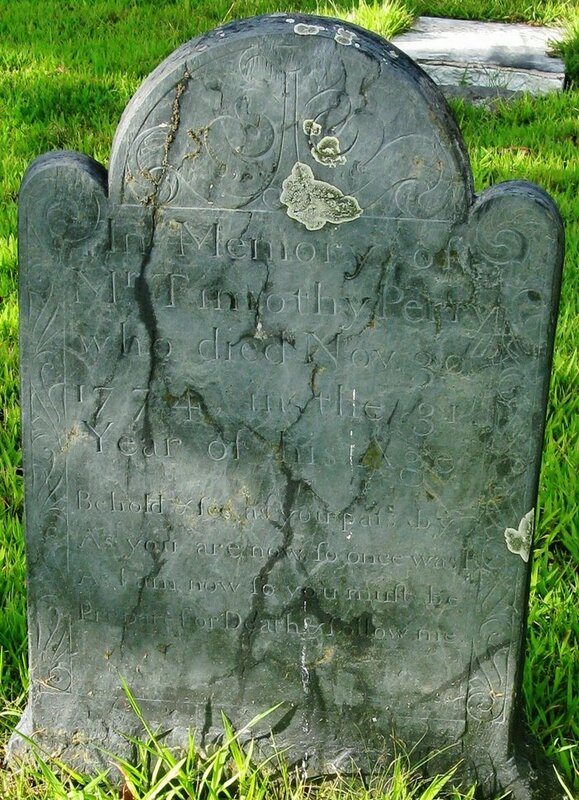 ; d. 1 Mar 1821 Rehoboth;Burial: Oak Knoll Cemetery, Rehoboth; m. 29 Apr 1762 in Attleboro to Jemima Titus (b. 1744 in Rehoboth – d. 4 Feb 1808 Rehoboth) Her parents were Robert Titus (1719 – 1784) and Esther Wilmarth (1724 – ). Ezra and Jemima had three children born between 1767 and 1781.
who were in the fire Died. iii. Noah Perry b.3 Oct 1743 Rehoboth, Bristol, Mass. ; m. 15 Dec 1774 in Rehoboth to Sarah Barrows (b. 21 July 1751 in Attleboro, Bristol, Mass) Her parents were Joseph Barrows (1713 – ) and Bathsheba Woodward (1717 – ). 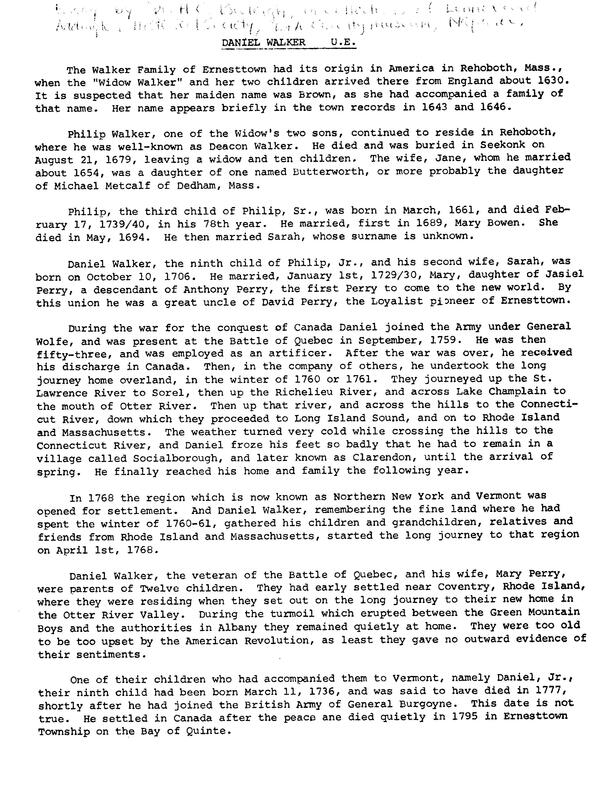 Noah and Sarah had nine children born between 1775 and 1794.
v. Daniel Perry b. 3 Apr 1748 in Rehoboth, Bristol, Mass; m. 18 Apr 1771 in Rehoboth, Bristol to Judith Hunt (b: 18 Jul 1753 in Rehoboth – ) Daniel and Judith had three children born between 1772 and 1776.
vi. Lydia Perry b. 30 Apr 1750 Rehoboth, Bristol, Mass. Elijah Perry Rehoboth.Private, Capt. Samuel Bliss’s co. of Minute-men, which marched on the alarm of April 19, 1775; service to April 27, 1775, 1 week 1 day. Perry, Elijah.Corporal, Capt. James Hills’s co., Col. Carpenter’s regt. ; enlisted Dec. 8, 1776; discharged Dec. 22, 1776; service, 15 days, on the alarm at Bristol, R. I., of Dec. 8, 1776; roll dated Bristol and sworn to at Rehoboth;also, Sergeant, Capt. James Hills’s co., Col. John Dagget’s regt. ; copy of a list of men stationed at Bristol for 3 months from Dec. 28, 1776. Elijah Perry, Private, Capt. James Hills’s co., Col. Williams’s regt. 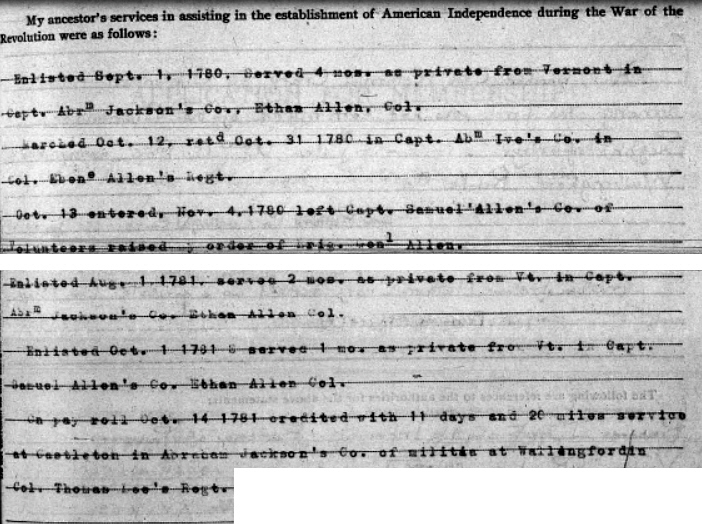 ; service from Sept. 29, 1777, at Tiverton; reported enlisted out Oct. 9, 1777. Roll sworn to at Rehoboth. Elijah Perry, Sergeant, Capt. Ichabod Wade’s (Light Infantry) co., Col. George Williams’s regt. 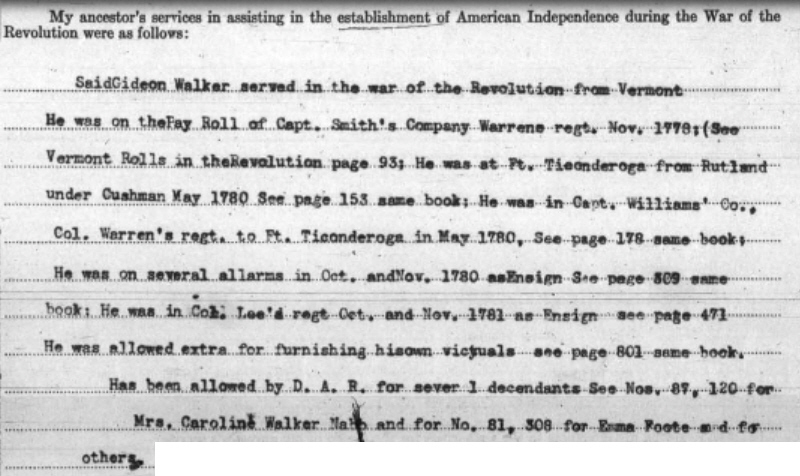 ; service, 21 days; company stationed at Tiverton Oct. 7, 1777. Roll sworn to at Rehoboth. Perry, Elijah, Rehoboth.Descriptive list of men mustered by James Leonard, Muster Master, to serve in the Continental Army for the term of 9 months from the time of their arrival at Fishkill, agreeable to resolve of April 20, 1778, dated Taunton, June 1, 1778; Capt. Joseph Franklin’s 10th (Rehoboth) co., Col. Thomas Carpenter’s (1st Bristol Co.) regt. ; age, 25 yrs. ; stature, 5 ft. 10 in. ; complexion, light; hair, dark; eyes, blue; residence, Rehoboth; engaged for town of Rehoboth; arrived at Fishkill June 16, 1778; also, list of men returned as received of Jonathan Warner, Commissioner, by Col. R. Putnam, July 20, 1778. Elijah Perry, Rehoboth (probably).List of men drafted to serve at Rhode Island for 1 month, dated March 13, 1779. Mehitable’s husband Nathaniel Knapp was born about 1710 in Taunton, Bristol, Mass. Jasiel’s wife Elizabeth Walker was born 26 Apr 1714 in Rehoboth, Bristol, Mass. Her parents were Timothy Walker (1687 – 1745) and Grace Childs (1689 – 1729). Elizabeth died 31 May 1795 in Rehoboth. v. Jasiel Perry b. 15 Jun 1753 Rehoboth, Bristol, Mass; d. 15 Jan 1832 in Mass; m. Elizabeth (Betty) Hicks(Hix) (b. 1750 in Mass. – d. 13 Oct 1823) Her parents were Benjamin Hicks(Hix) (1708 – 1798) and Ann Ormsbee (1712 – 1808) Jasiel and Betty had five children born between 1777 and 1788. Extract from: Rehoboth, Ma From “Our Country and It’s People”, A Descriptive and Biographical Record of Bristol County, The Boston History Company, Publishers, 1899.
vi. Elizabeth Perry b. 16 Dec 1755 Rehoboth, Bristol, Mass; d. 1798 – Providence, Rhode Island; m. 20 May 1784 – Mass. to Cpl. Wilson Franklin (b. 10 Apr 1752 in Rehoboth – d. 1835 in Zanesville, Ohio) His parents were Capt. Joseph Franklin (1719 – 1791) and Abigail Daggett (1729 – 1770). 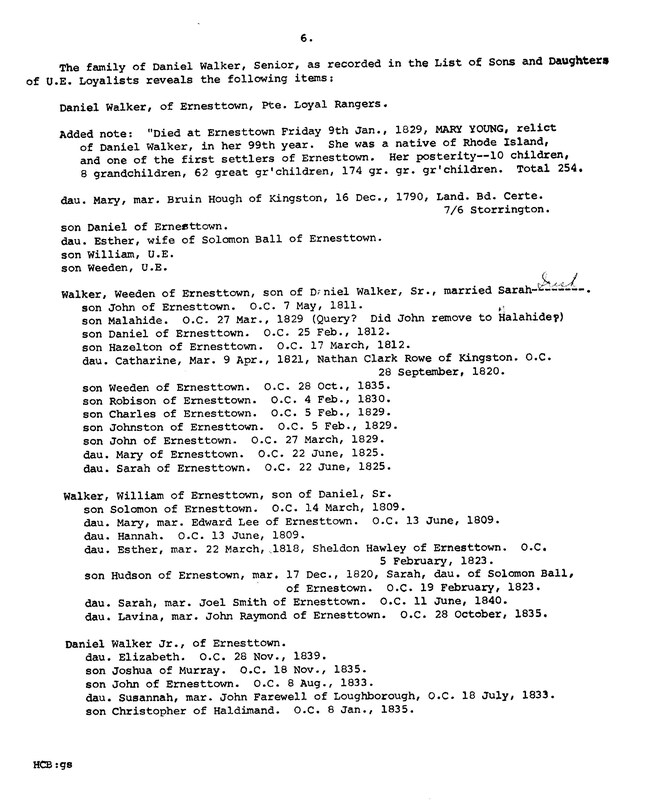 Elizabeth and Wilson had five children born between 1785 and 1795. Rebeckah’s husband James Brown was born 23 Jan 1713 in Swansea, Bristol, Mass. James died 22 Nov 1782 in Ashford, CT.
i. Mary (Molly) Brown b. 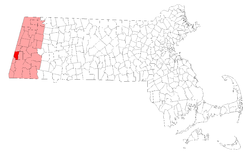 22 Jun 1740 in Barrington, Rhode Island; m. 1758 to William Lawton (b. 3 Oct 1737 in Bristol, Rhode Island – d. 1808 New York) His parents were Isaac Lawton (1709 – 1749) and Sarah Howland (1711 – ) Molly and William had twelve children born between 1759 and 1787. 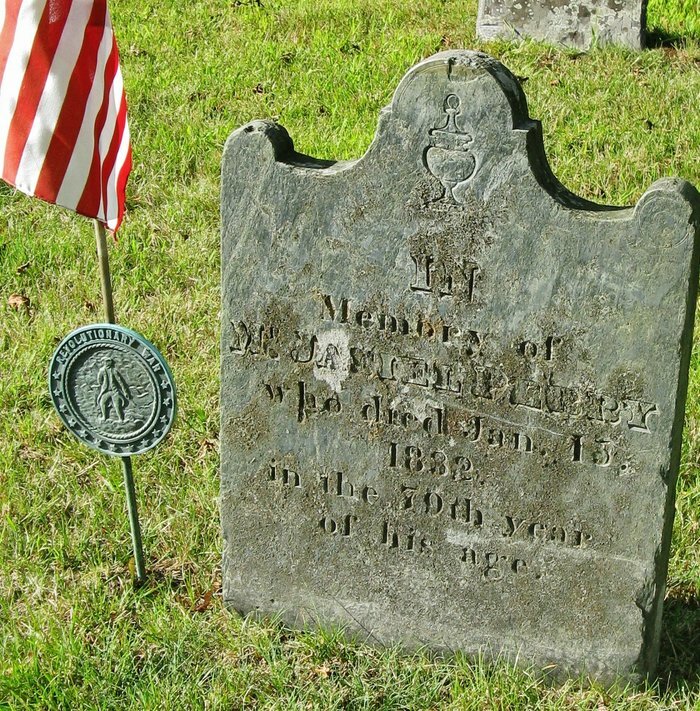 David’s wife Margaret Willmarth Dryer was born 12 May 1722 in Rehoboth, Mass. She was David’s first cousin. Her parents were William Dryer and Esther Willmarth. Her grandparents were Jonathan WILMARTH and Esther PECK. Margaret died 13 Jan 1806 Rehoboth. ii. Esther Perry b. 23 Oct 1748 Rehoboth, Bristol, Mass. ; d. 13 Jan 1778 Rehoboth; m. 13 Jun 1776 in Rehoboth to Benjamin Bullock (b. 25 Sep 1753 – d. 17 Jan 1850 in Rehoboth) His parents were Hezekiah Bullock (1722 – 1768) and Jemina R. Garnsey (1722 – ). Esther and Benjamin had twelve children born between 1772 and 1798. After Esther died, Benjamin married 10 Dec 1778 in Rehoboth to Mehitable Fuller (b. 10 Mar 1755 – d. 2 May 1843 in Rehoboth) Benjamin and Mehitable had six more children born between 1781 and 1796.
iii. David Perry b. 27 Jan 1750 Rehoboth, Bristol, Mass. ; d. 18 Jul 1827 Rehoboth; m. 3 Jul 1773 in Rehoboth to Sarah Short (b. 22 Nov 1752 in Rehoboth – d. 14 Dec 1845 in Rehoboth) Her parents were Philip Short (1714 – 1805) and Lydia Luther (1723 – 1798). David and Sarah had seven children born between 1776 and 1795.
iv. Robert Perry b. 2 Mar 1751 Rehoboth, Bristol, Mass. ; d. 3 Jun 1837 Ernestown, Ontario, Canada; m. 19 Dec 1771 in Rehoboth to Jemima Gary Washburn (b 13 Apr 1754 in Rehoboth – d. 12 Jan 1830 in Ernestown, Ontario, Canada) Her parents were Simeon Washburn (1727 – 1802) and Jemima Gary (1721 – 1804). Robert and Jemima had ten children born between 1772 and 1793. Another Commodore Perry opened Japan to the commerce of the world. The family is descended from one, David Perry, but it was his son Robert who came to Canada, and for the purposes of this history he is regarded as the ancestor or pioneer of the Perry family., many of their descendants have been prominent in the history of Ontario. David Perry built the first saw-mill in 1820 on the site of the present town of Newburgh. Rev. Robert Perry was famous in his day, and is still remembered as one of the builders of the Methodist church in Canada. His son, Ebenezer, was a man of remarkable talent and tireless industry. He sat for years in the council, was Reeve of Ernesttown and Warden of the county. Other members of the family have also taken an active part in public life, including Peter Perry, grandson of the Pioneer, who represented Lennox and Addington in the Legislature of Upper Canada. Daniel Perry, son of Daniel Perry and grandson of the Pioneer, was the father of Mrs. W.R. Gordonier. Robert Perry, the U.E. 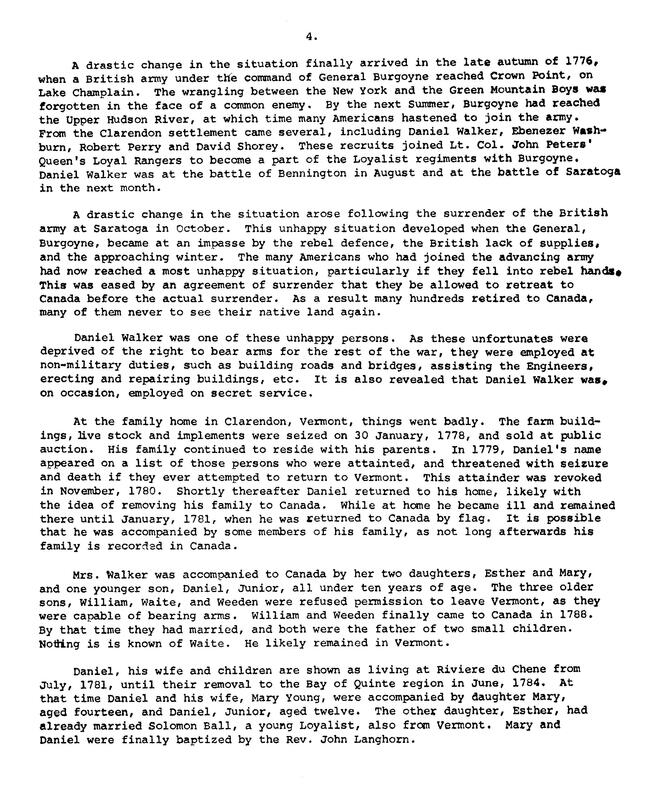 Loyalist, was familiar with the story of the trials and troubles of his uncle, Daniel Walker, Sr. during and after the campaign for the conquest of Canada, including the battle of Quebec. He was just entering his teens when his uncle returned home after freezing his feet and spending a winter in Vermont. He was just twenty when this same Daniel Walker, his children, grandchildren and relatives made the long trek to the choice valleys of Vermont, which was not a colony, but still a disputed territory between New York and New Hampshire. Three year later, on Dec. 9, 1771, he married Jemima Washburn, the daughter of a neighbour, Simeon Washburn of nearby Attleboro, Mass. Jemima had been born on April 30, 1754, and was not yet our of her teens when the marriage ceremony took place. About a year before, Jemima’s first cousin, Althea Gary, had married David Shorey. Now that they were married, the two young couples followed their Walker cousins to Vermont. Shortly after reaching the promised land, the two young men, who were also second cousins, united in the purchase of fifty acres of virgin land in Durham, a short distance north of Clarendon, where their Walker cousins were already located. Here the two young families busied themselves clearing the virgin land, and creating a productive farm. They were still busy when the clouds of conflict darkened the skies. They were well aware of the activities of the Green Mountain Boys in their conflict with the New York authorities, and quietly avoided any attachment to either side since they were too involved with the daily activities at their own firesides. It was only when the first signes of the approaching revolution spread across the land that they became involved. They watched expectantly as the rebels attempted to take Quebec, and likely enjoyed their failure to do so. They must have been pleased to hear of the retreat of the rebels along Lake Champlain, knowing that a British force had at last arrived at Crown Point. But there were rumblings throughout Vermont when General Burgoyne reached Lake Champlain in the early summer of 1777. With many of their friends and relatives, both Robert Perry and David Shorey offered their services as the British Army approahed Fort Edward, on the Upper Hudson River. They became allied with the Queen’s Loyal Rangers on July 15, 1777 at Fort Miller under the command of Lieut.-Col. John Peters, who was also a Vermonter. They were both with their regiments at the Battle of Bennington on August 17. Both avoided capture, and were again with their regiment at the Battle of Saratoga on September 18. After the surrender of General Burgoyne in October 1777, Robert Perry, with many other loyal subjects of American birth, were forced to flee to Canada to avoid arrest a severe punishment. According to the terms of surrender of General Burgoyne’s army, those Americans who had joined the British were not to carry arms again during the course of the conflict. Those who had gone to Canada were employed at various duties. In a few years when the Americans had broken the terms of the surrender, they were reformed into regiments and used at full duty. Robert Perry and many others became members of Major Edward Jessup’s Loyal Rangers. The situation back in Vermont during these early years was an unhappy one for the Perry family, particularly after Robert had gone to Canada. His wife Jemima, had been left on the farm with her three small children. However, for company she had her cousin Althea Shorey, with her small family, but their quiet abandoned situation did not last. Early the following year the Vermont authorities seized their farm home and contents, as well as, their livestock, implements and paraphernalia, and sold them at auctions. Before the year was over, as records found in the Haldimand Papers indicate, Mrs. Perry arrived at St. John, Quebec with her three children, Robert Jr., aged six, Amey aged five, and Patience aged two. In the meantime, however, the Vermont authorities had been busy as their records indicate. It appears by one such item, namely a certificate, dated October 19, 1778, that one, James Claghorn had bought the farm of ninety-seven acres, formerly the property of Robert Perry and David Shorey, for the sum of 480 pounds currency. There is also a record that on February 10, 1778, one cart, fomerly belonging to them was sold for the sum of six pounds, eight shillings, and that a Brown cow owned by them was sold at Hartford in Windsor County (Vermont) in 1779, for five pounds, eight shillings. There is also a record that in September 1778 of a payment of two pounds to Daniel Washburn for boarding the family of Robert Perry for five weeks. It is also on record that Gideon Cooley was paid one pound, one shilling in September for boarding and transporting the families of Perry and Shorey to the lake, meaning Lake Champlain, across which these families were carried by flag when on their way to their husbands in Canada. It was also recorded that debts contracted by the Perry family prior to the confiscation of his estate was paid by the authorities and deducted from the sale of the property. It is of interest to note that Perry owed Dr. Jacob Rubach five pounds, thirteen shillings and six pence. The Shorey estate and similar debts totaled thirty-four pounds, five shillings. Of these Dr. Rubach received two pounds, eight shillings, while costly even in those early days. Following the retreat of the Loyalists soldiers to Canada, Robert Perry is noted as belonging to Peters Queens Loyal Rangers and was employed at Sorel. In a Muster Roll of the Queen’s Loyal Rangers, on December 4, 1789, Perry was recorded as on duty at Machiche in the King’s Works. A year later he was stationed at Riviere de Chene, a short distance down the river from Sorel. However, Mrs. Perry and her cousin, Mrs. Shorey and their families, became early residents in the refuge which was established at Machiche, several miles up the St. Lawrence from Three Rivers. Here they remained until the exodus to the Bay of Quinte area in 1784. Peace finally arrived in the autumn of 1783 and preparations were begun for the settlement of the thousands of refugees and soldiers already resident in the Province of Quebec, as well as in New York and elsewhere. In Canada, General Haldimand planned wisely to settle these people by regiment for better administrative control and management. Land was to be settled by townships with each male more then twelve years of age being granted one hundred acres at no cost. Officers and N.C.O.s received additional land according to their rank. Provisions were to be issued for a further two-year period with seeds and tools available. The regiments were disbanded on Christmas Eve 1783 except for those stationed in the Upper Posts such as Oswego, Niagara, Carleton Island and Detroit. Spring was slow in arriving in 1784. The ice blocked the St. Lawrence River until late April, and the journey up the river did not start in earnest until late May. Jessup’s Loyal Rangers finally began the task of climbing the rapids to the Promised land. As it was not feasible to settle all the soldiers in one group it was divided into two. The first portion settled in the Prescott-Brockville area while the remainder while the rest amounting to four hundred souls continued on up the river to the second township above Cataraqui (Ernesttown Township). Corporal (Sargent) Perry and family went with the second group, and arrived in the latter part of June 1784. Here Robert Perry drew the east half of Lot two of the second concession, and the east half of lot seven in the third concession. He established his family on the former lot which was situated a few miles north west of Bath Village. The family by that time had increased to six children with three children being born in the refugee camp at Machiche. In a list of the first settlers in the township dated October 6, 1784 it notes that Robert Perry and his wife and six children were settled with two acres cleared. He evidently remained on this lot until his death. His wife died on January 12, 1830 at age seventy-five, and lies buried in the Anglican Cemetary in Bath. Her husband survived an additional five years, but his burial place is unmarked. Claim of Robt. Perry , late of Charlotte Co. Claimt says: He resided at Mashish in the Fall ‘83 & the Winter. Is a native of America , lived in Rutland Township, Vermont , Joined Burg , early in 1777 , returned to Canada after ye Capitulation. Served in Major Jessup ‘s Corps. Produces his Discharge. Had 50 acres in Rutland . Produces Deed from Ephraham Derwon to Claimt & David Shorey of 100 acres in Rutland in Considn. of £37, dated ‘76 . Says this was bought in ‘72 & the money was paid at different times. He had not the Deed till the whole was pd., which is ye Reason that Deed bears Date in ‘76 , half belonged to Claimt, about 30 acres Clear. Vals. the Clear Land ½ Joe per acre to Clear it. Produces Certificates of Sale of this Estate from John Fasset & Certificate from Thos. Chittenden of Confiscation of all Claimts Estate. Produces Deed from Gideon Walker of 55 acres in Rutland in Consid. n. £4. 72, none Clear. Produces Deed of 13 acres & ½ in Considn. of £4.2. ‘75 , none of this Clear. He had parted with 13 acres of No. 2, 1 Horse, 1 yoke oxen, Cows, 6 Sheep, 6 Hogs, farming utensils, furniture. Left them at the Place when he went away. Has been always informed the rebels took them in ‘77 . He also had Wheat, & Corn in the ground & Grass ready to cut. Danl. Walker , Wits. : Knew Claimt Knew his Place, he bought it some years before he came away. Heard of his purchasing No. 2. Ebenezer Washburn , Wits. : Knew his Place No. 1 in Rutland , he bought it he thinks in 1773 . Thinks he had 30 acres Clear. Knew he had other Lands. Knew his Stock, 4 Cows, 1 Horse & other things. v. Peter Perry b. 24 Mar 1753 Rehoboth, Bristol, Mass. ; d. 25 Jul 1825 Stockbridge, Berkshire, Mass; m. 23 Jan 1777 in Rehoboth to Lydia Wilmarth (b.16 May 1755 in Rehoboth – d. 10 Jul 1813 in Stockbridge) Her parents were Ezra Wilmarth (1730 -1777) and Prudence Morse (1732 – 1814). Peter and Lydia had eight children born between 1779 and 1806. Peter Perry was a Private, Capt. Carpenter’s co., Col. Simeon Cary’s regt., Gen. John Fellows’s brigade; copy of a list of men stationed at New York and White Plains for 5 months, and dismissed Dec. 1, 1776.
vi. Margaret Perry b. 21 May 1755 Rehoboth, Bristol, Mass. ; d. 16 Nov 1804 West Stockbridge, Berkshire, Mass; m. 25 Nov 1773 in Rehoboth to her first cousin Christopher French (b. 29 Mar 1752 in Rehoboth – d. 2 Dec 1845 in West Stockbridge) His parents were Thomas FRENCH and Keziah PERRY. Margaret and Christopher had eleven children born between 1774 and 1799. After Margaret died, Christopher married 25 May 1805 in West Stockbridge and 4 Jun 1805 – Attleboro to Lydia Perry (b. 1764 in Mass – d. 3 Jan 1854 in West Stockbridge) Some say Christopher’s second wife was Margaret’s sister, but I haven’t found evidence of her parents. According to the 1850 census, she was born 1764 in Mass. Christopher French, his father Thomas French and his brother Thomas French jr. all served in the Revolutionary War. Christopher was Corporal in Captain Israel Trowbridge’s Company, Colonel Josiah Whitney‘s regiment. the company served in Rhode Island from May 14, 1777 to July 6, 1777. 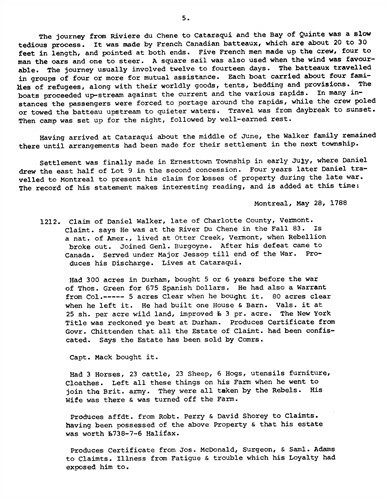 He migrated to Berkshire County with his family after he was discharged. Christopher had 12 Children and 2 wives. 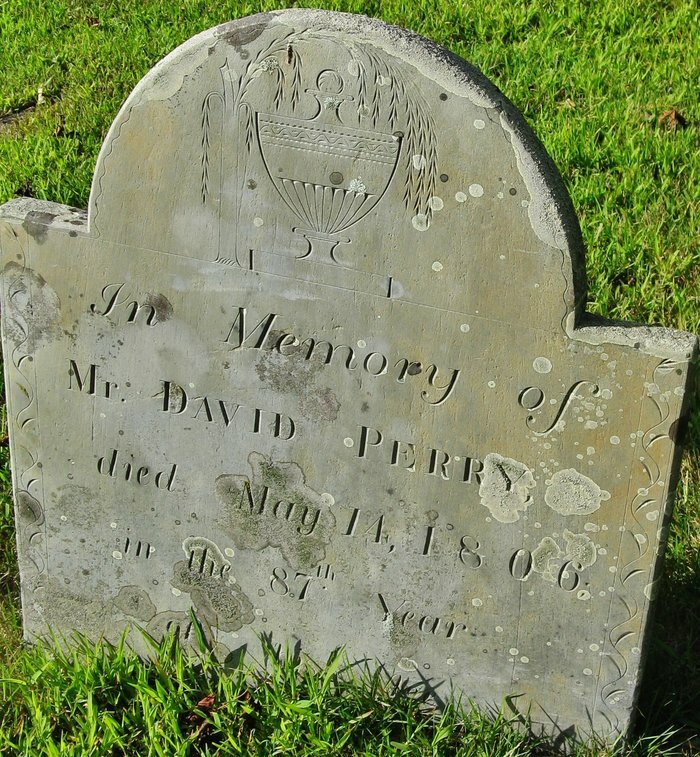 1st Margaret Perry who died in West Stockbridge and 2nd her sister Lydia Perry. The French family lives on or near Long Pond Road, in Williamsville, West Stockbridge, Mass, a couple of miles from the New York border. West Stockbridge was first settled in 1766 and was officially incorporated in 1775. The town grew out of Stockbridge, formerly known as Indiantown, and was originally called Queensborough. The area was part of the disputed border between Massachusetts and New York, which eventually left the town in its current state. The town grew as five separate villages (West Center, West Stockbridge, Freedleyville, Rockdale and Williamsville), with West Stockbridge growing the largest because of the railroad, which hauled iron ore and marble. The town had an ironworks in Williamsville, founded by Colonel Elijah Williams, and the furnace smokestack is the only part which remains of the works. vii. Mehitable Perry b. 7 Sep 1760 in Attleboro, Bristol, Mass; d. 17 Jan 1829 Rehoboth; m. 11 Oct 1781 in Rehoboth to Sylvester Rounds (b. 10 Apr 1762 – d. 4 Nov 1824 in Rehoboth) His parents were Jabez Rounds (1735 – 1806) and Prudence Crossman (1740 – 1825). Mehitable and Sylvester had five children born between 1788 and 1803. After Kezia died, William married 13 Oct 1791 in Dutchess, New York to Margaret Ferry (b. 1762 in Dutchess, New York – d. 25 Aug 1844 in Worchester, Otsego, New York) William and Margaret had five more children born between 1793 and 1804. Ichabod’s first wife Sarah Haskins was born 1724 in Rehoboth, Bristol, Mass. Sarah died 20 May 1752. Ichabod’s third wife Experience Blanchard was born 22 Jun 1727 in Weymouth, Norfolk, Mass. Her parents were Thomas Blanchard and Sarah Vinson. She first married 3 May 1748 in Norton, Bristol, Mass to Sylvanus Braman (b. 1722 in Norton, Bristol, Mass. – d. 1 Nov 1782 in Norton, Bristol, Mass.) Experience died Jul 1793 in Norton, Bristol, Mass. Ichabod was a Private in Captain Israel Trow’s Company, Colonel Isaac Dean’s Regiment Bristol County, Massachusetts. Entered service Aug 1, 1780 service 9 days on the alarm. Also served as a Private, Captain Moses Wilmarth’s Company, Colonel Isaac Dean’s Regiment which march to Rhode Island on the alarm in 1780.
i. Abiel Perry b. 20 Dec 1754 Attleboro, Bristol, Mass; d. 20 May 1834 Williamsburg, Hampshire, Mass; m. 1779 in Williamsburg to Miriam Walcott (b. 19 Sep 1755 in Williamsburg, Hampshire, Mass – d. ) Her parents were Jonathan Walcott (1710 – 1788) and Mary Jackson (b. 1723)Abiel and Miriam had ten children born between 1780 and 1800. This entry was posted in 10th Generation, Line - Shaw and tagged Loyalist, Rehoboth. Bookmark the permalink. Are the Perrys related to the Miners in any way? 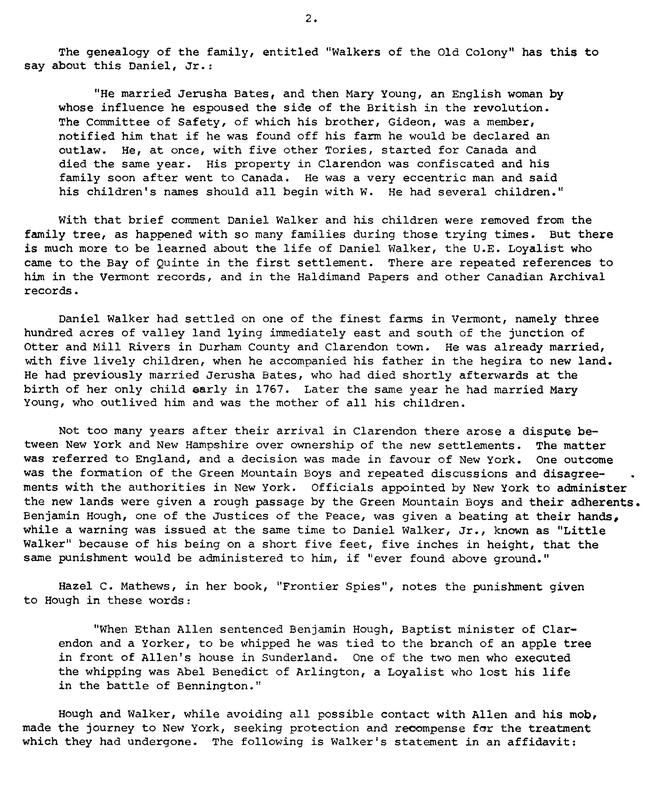 I am now looking at the page documenting Jasiel Perry’s family, and at the top it lists “Miner Descent”. The reason I ask is that I have an ancestor descended from the Miners in Vermont who married there around 1813 to a descendant of the Perrys. I wonder if they would have been both related on the Miner side? They lived in Clarendon and Rutland. You have very good documentation. 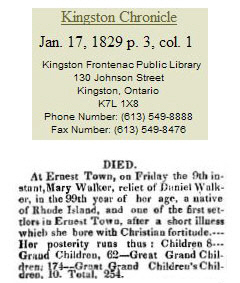 However, under Jasiel’s eldest daughter Mary who married Daniel Walker, you list him as dying in Clarendon in 1768, but then continue to state he went over to the British side during the Revolutionary war, which is impossible since he had died before then. 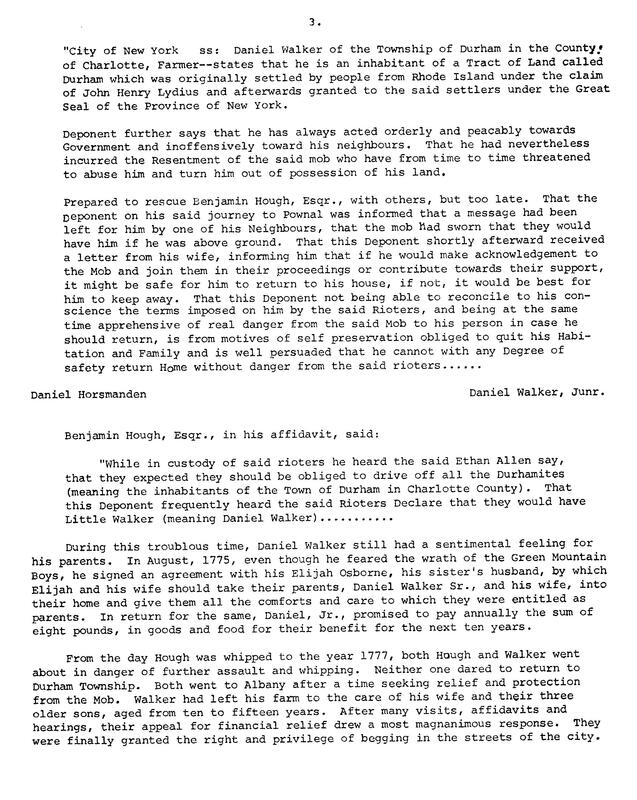 The document you provide from Dr. H.C. Burleigh explains that this Daniel Walker who went over to the British side during the Revolutionary war was Daniel Jr., the son, who afterwards resided in Canada, It was very strange that Daniel Jr.’s brother Gideon was fighting in Vermont on the American side. 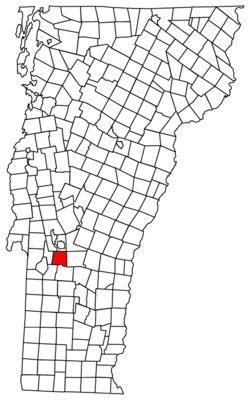 Gideon once purchased land in Rutland in 1770, but then moved one county away and died in Whiting Vermont. I’d be interested if you or anyone else has the land records of Gideon’s land in Rutland County. The Miners are my paternal grandfather’s line (I’m a Miner) and the Perrys are from my paternal grandmother’s line, so my connection between the two doesn’t go back too far. Rehoboth and Stonington aren’t too far apart, so I am sure there must be other connections. I’ll have to look into the date issue you found. Jasiel is my 7th Great Grandfather. Looks like we are cousins. Great research! You’ve helped me out tremendously.